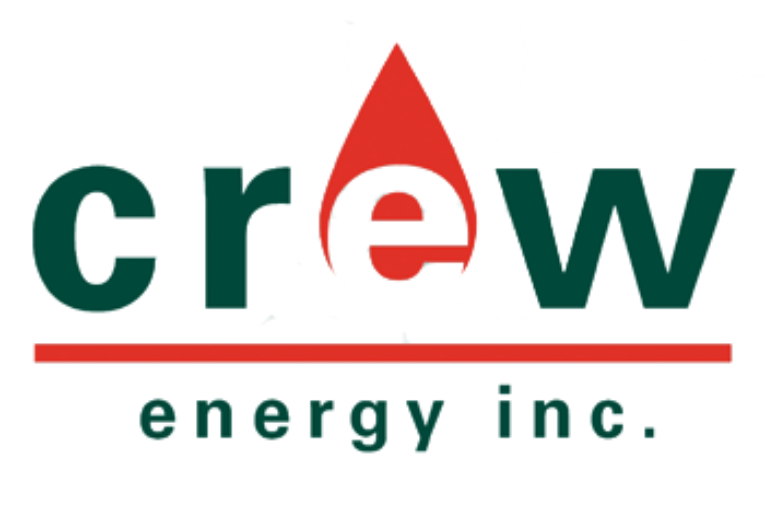 CALGARY, Dec. 10, 2018 /CNW/ – Crew Energy Inc. (TSX: CR) (“Crew” or the “Company”) today is pleased to announce the Company’s 2019 capital expenditure budget, approved by Crew’s Board of Directors. With continued volatility and weakness in Canadian oil and natural gas prices, the Company believes it is prudent to develop a plan that can be adjusted dependent on commodity prices. Crew will continue to closely monitor prices and differentials and will adhere to a disciplined and conservative approach for our 2019 capital budget in an effort to maintain balance sheet strength and flexibility. Capital Expenditure Budget of $95 to 105 Million: The 2019 capital expenditure budget is expected to approximate annual estimated Funds From Operations (“FFO”), with drilling activities focused on building from Crew’s success in the Ultra-Condensate Rich (“UCR”) area at Greater Septimus. U.S. Sales Exposure and Hedging Provide Support to Capital Program: Crew’s 2019 natural gas sales exposure will be approximately 43% to Chicago City Gate, 16% to NYMEX, 15% to Dawn, 10% to Alliance ATP, 8% to Malin, 4% to Station 2 and 4% to AECO 5A. Approximately 30% of budgeted 2019 volumes are hedged at $2.59 per GJ or approximately $2.74 per mcf, which increases to approximately $3.22 per mcf after adjusting for Crew’s higher heat content natural gas. Natural gas hedges include to 22,500 mmbtu per day of Chicago City Gate gas at C$3.54 per mmbtu, 5,000 mmbtu per day of Dawn gas at C$3.56 per mmbtu and 7,500 mmbtu per day of NYMEX gas at US$2.98 per mmbtu. The Company has 1,874 barrels per day of WTI hedged at an average price of C$75.99 per barrel for 2019 and 500 barrels per day of WCS hedged for the first half of 2019 at an average price of C$52.93 per bbl. Maintain Average Production of 22,000 to 23,000 boe per day: 2019 production is expected to be comprised of 27% liquids and 73% natural gas. The Company currently has approximately 2,000 boe per day of production shut-in, which includes 1,300 boe per day of non-Montney gas production, budgeted to remain shut-in for the entire year at current gas prices. Additionally, 700 barrels per day of shut-in heavy oil is planned to be phased back on production through the second and third quarters as Western Canadian Select (“WCS”) prices are forecast to improve. Capital Expenditure Focused in the UCR Area: Crew anticipates entering 2019 with seven (7.0 net) drilled but uncompleted wells (DUCs), which will accelerate condensate production into 2019. Drilling and completions activity will continue to target liquids-rich opportunities with the Company planning to drill five (5.0 net) and complete three (3.0 net) UCR wells at West Septimus, as a result of encouraging test results from our last three completed wells. The Company also plans to drill one Montney lease retention well and one exploratory horizontal Montney well in 2019. Crew has also allocated capital to our heavy oil business, planning to drill three multi-leg horizontal wells which are expected to maintain production volumes. Capital expenditures will be allocated 75% to Greater Septimus, 6% to lease retention and exploration, 6% to heavy oil, and 13% to land, seismic, general and administration. Managing the Balance Sheet: Given current and future strip prices for natural gas and liquids as well as differentials, the Company’s 2019 capital program will focus on maintaining financial flexibility by balancing capital expenditures with FFO. Crew expects to maintain ample liquidity with planned draws on our existing $235 million credit facility anticipated not to exceed 25%, with the majority of our debt comprised of $300 million of term debt due in 2024 with no financial maintenance covenants. Crew is targeting a balanced 2019 budget which will be primarily funded by forecast FFO, enabling the Company to manage our balance sheet while maintaining flexibility to quickly adjust spending in response to changes in forward commodity prices or the broader operating environment. On January 1, 2019 the Company’s pipeline connecting our West Septimus facility to the existing TCPL Saturn meter station will be commissioned, providing the Company with physical access to all three major natural gas egress systems transporting natural gas out of Western Canada. This, combined with our diversified gas marketing portfolio, significantly enhances our natural gas exposure. The addition of the added transportation options will result in an increase in the Company’s transportation cost per unit as outlined above. As outlined in the Company’s third quarter 2018 results release issued November 5, 2018, through the fourth quarter of 2018, Crew has been affected by third party pipeline outages and limited egress across western Canada which has created low, volatile and occasionally negative natural gas prices, extremely low WCS benchmark oil prices and depressed condensate prices. In this environment, Crew has shut-in production volumes that have challenged economics in the interests of preserving value and as such, anticipates that 2018 volumes will average near the low end of our annual guidance range of 23,500 to 24,500 boe per day.